Today's Favorite Tools post highlights the handiwork of soap-making maven, Nordea, of NordeaSoaperie. 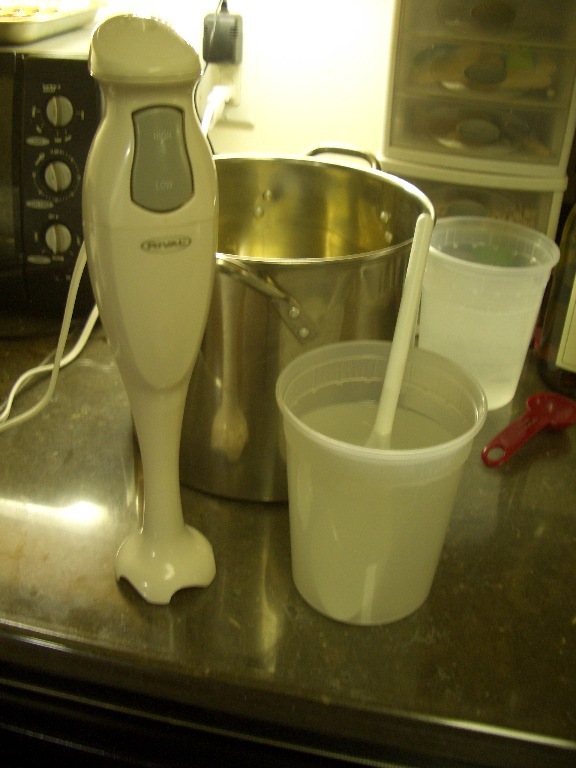 Nordea's favorite tool is her trusty hand-blender (pictured above). She uses it to cut the time- and labor-intensity of making her hot-process soaps. 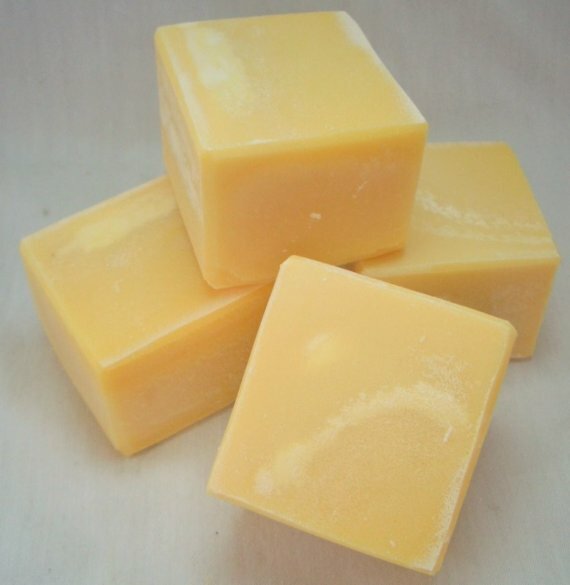 In hot-process soap-making, fatty acids from oil are combined with sodium hydroxide (lye) and water and then cooked, first on the stove and then in the oven. Heat hastens the chemical reaction that ultimately creates the soap. Nordea relies on her hand-blender to achieve what soapers call "trace," the point at which the oil and lye-water mixture blends permanently together and can no longer return to its component parts. As Nordea explains, "With hot-process, it is important to get to a 'heavy trace,' meaning the soap is pretty much solid in the pot before putting it in the oven. The thicker the soap batter, the better the cook." Heavy trace: The drips of soap from the blender form a pattern on the surface of the soap. 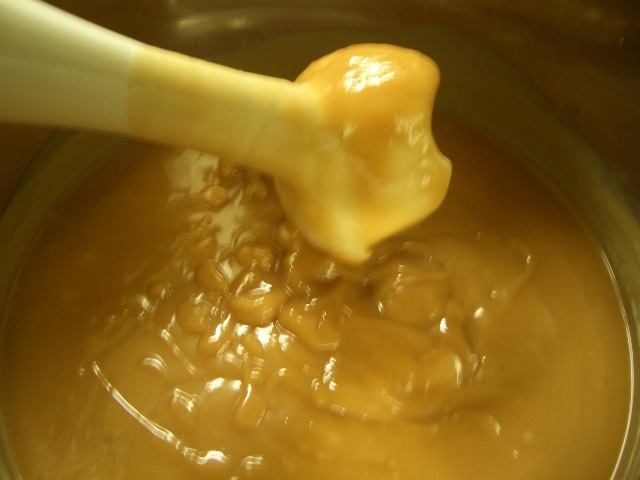 After 45 minutes in the oven the soap has liquified and is ready for the addition of fragrances and pouring into molds. It takes about 10-15 minutes of mixing with a hand-blender for the oil and lye-water mixture to come to trace. Nordea estimates that it would take at least three times as long without the hand-blender. It would also take very large arm muscles. But Nordea also makes liquid soap, and here the use of a hand-blender is absolutely imperative. "Even with the [hand]-blender, it takes at least 45 minutes for the soap to come to trace. 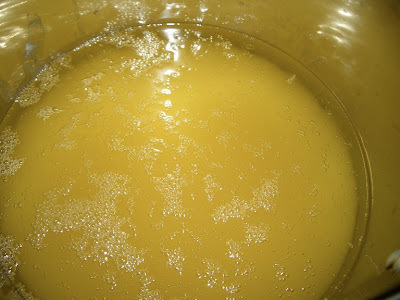 So I would NOT be able to make my liquid soap without it." And that would be sad!